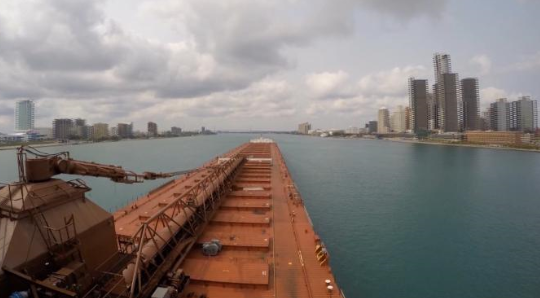 Monroe, MI (WTVG) - 13abc's Lissa Guyton and videographer Todd Gaertner had a rare opportunity to go along for the ride as the ship unloaded coal in the Detroit area and Monroe. Writer Craig Ritchie takes a ride on our Lee A. Tregurtha. 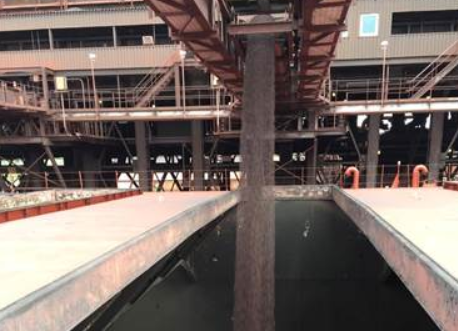 MARBLEHEAD, Ohio - A rumbling conveyor belt carried crushed stone to the holds of the 700-foot Pathfinder barge, its V-shaped stern nocked like an arrow with the bow of the 124-foot tug Dorothy Ann as they rode as conjoined twins in Lake Erie's calm early morning waters at the Marblehead dock. With a load of limestone coming out of Marblehead, Capt. Jeremy Mock, master of the 711-foot Dorothy Ann-Pathfinder, scans the horizon. It’s 20 minutes past five o’clock in the morning on an early summer day. From his 72-foot eye-sight on the bridge, Mock already can see the red sliver of first light coming across the lake. 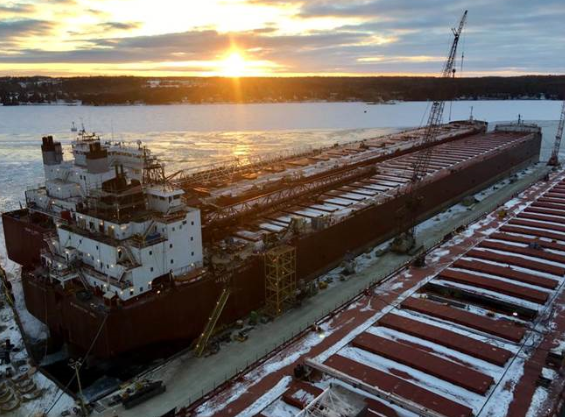 The 1,004-foot M/V James R. Barker has sailed from the Twin Ports with a new specialized cargo: 60,000 tons of Mustang superflux pellets – the first shipment of its kind since the new pellet production began at Cliffs Natural Resources Inc.’s United Taconite mine last month. 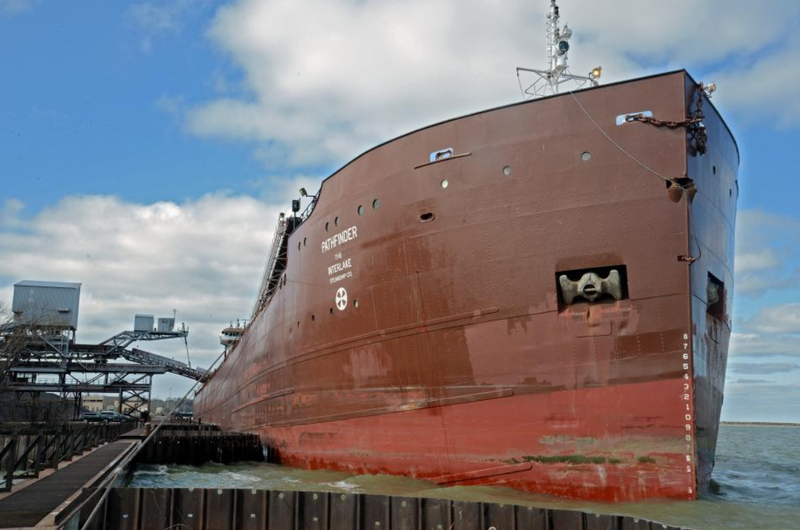 They're called boatnerds, people who relish the commercial ships that navigate the Great Lakes, delivering iron ore, coal and other aggregates from one port, or one lake, to another. 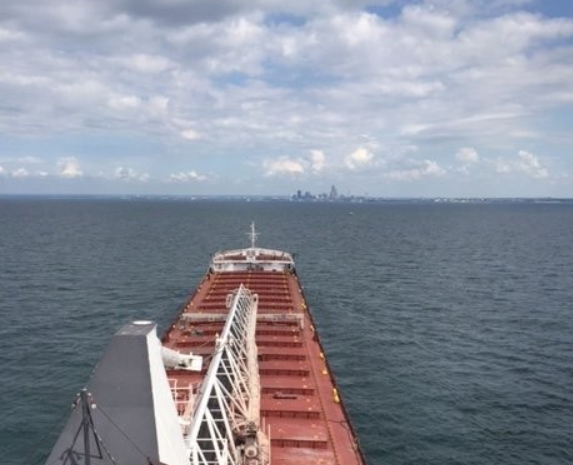 CLEVELAND, Ohio -- One of the grandest sights in Cleveland is catching a glimpse of a giant ore boat snaking its way up the Cuyahoga River. 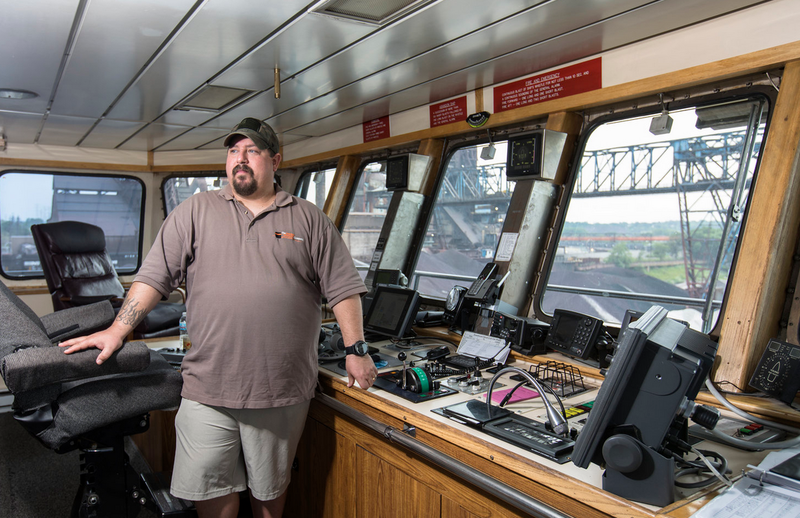 Last week, I had the chance to tag along as the Dorothy Ann-Pathfinder traveled the Cuyahoga River, delivering iron ore to ArcelorMittal Cleveland. My story, with plenty of photos from Peggy Turbett, can be found here. But it's difficult to fully appreciate the size of the Interlake Steamship Co.'s ship until you're on it. Thanks to Captain Jeremy Mock, readers can get a little bit closer to that experience. 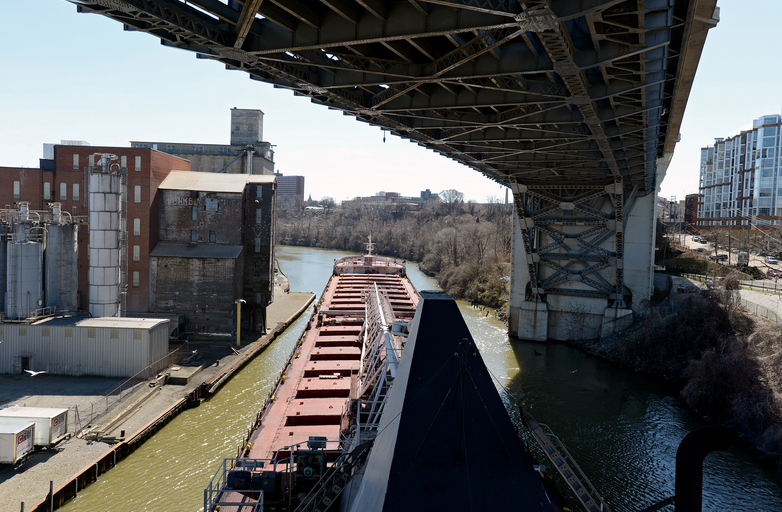 In the Great Lakes region, there's a critical partner to the steel and construction industries that the public may overlook: the lake and river shipping industry. 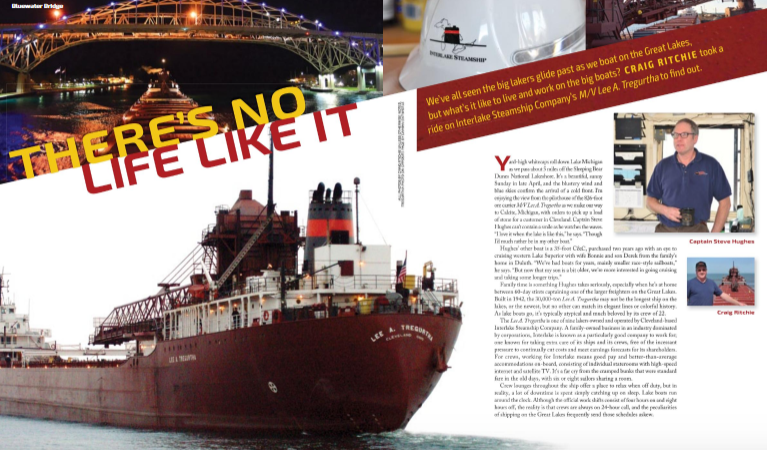 "We haul the building blocks of America," said Jeremy Mock, captain of Interlake Steamship Co.'s Dorothy Ann-Pathfinder. Maritime Reporter & Engineering News recently spoke with Mark Barker, president of The Interlake Steamship Company, who sent its fourth vessel -- its second 1,000-footer -- to be outfitted with exhaust gas scrubbers.